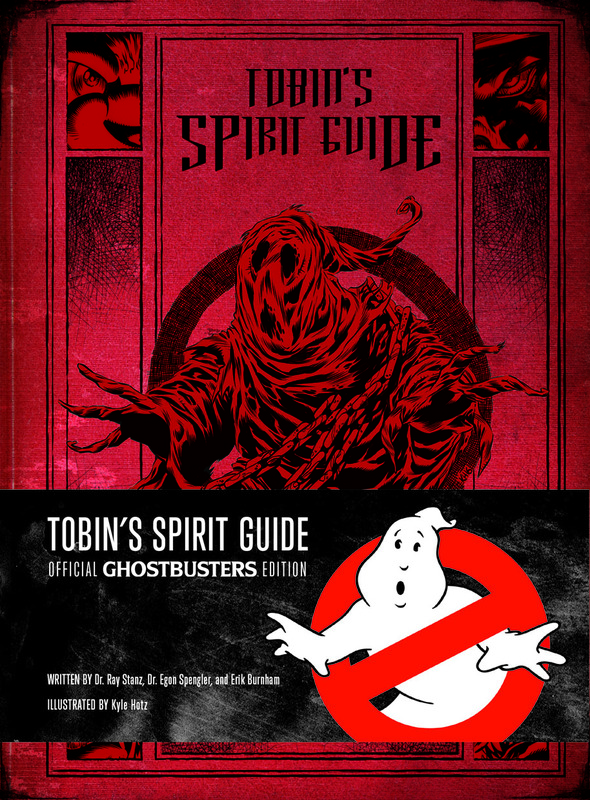 Ever since I first became a Ghosthead, there have been a few things on my “to get” list; a Proton Pack, Ghost Trap, PKE Meter and a copy of Tobin’s Spirit Guide. There have been a few versions of the guide floating about over the years, including a copy for a D&D-style Ghostbusters game and a fan-made one on Amazon. None however have really satisfied my need for a Tobin’s Spirit Guide. Now, thanks to Erik Burnham and Kyle Hotz, that need has well and truly been met. The book covers the spirits, metaspecters, demons and gods from every corner of the Ghostbusters universe. It includes IDW characters such as Idulnas and Tiamat, video game characters like the Spider Witch and Pappy Sargassi, Real Ghostbuster characters like Sandman, Boogeyman and Boogaloo, Achira from Extreme Ghostbusters and – obviously – the ghosts from the films. Each is given an in-universe backstory that often goes untold when the team comes across them. The artwork, provided by Kyle Hotz, is fantastic with each spectre getting a gothic stylised portrait while still retaining their signature attributes. Even the No Ghost logo gets an amazing gothic twist. This book sits at the nexus of the Ghostbusters shared universe and marries all the canon sources together beautifully. Nothing ever feels second class (aside from the classification), and Erik Burnham gives each entry the same care and attention, no matter if he’s dealing with the Dream Ghost from GB1 or Ellen Gold from the IDW series, all the way to the “big league” baddies like Vigo and Gozer. Yes, some of the encounters are slightly different from how the Ghost was first introduced, but that is because this book is written from an in universe perspective. That is the only criticism I could see other fans leveling at this fantastic book. Simply put, this is an absolute must buy for any Ghostbusters fan.